YOUNG Fletcher Wilson spent the past nine months fighting for his life. 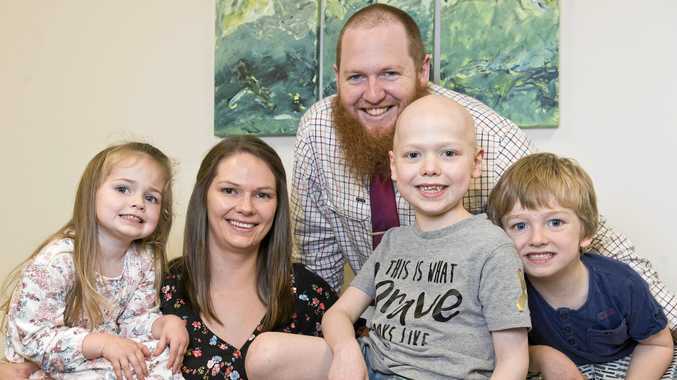 The seven-year-old lad was diagnosed with acute lymphoblastic leukemia after having unusual fatigue, back trauma and strange pain about a year ago. He spent the following nine months receiving treatment at Queensland Children's Hospital in Brisbane. "We went to Brisbane the day after finding out he had cancer," Fletcher's mum Cherie Wilson said. "He has had numerous types of chemotherapy, lumbar punctures, steroids and lots of different things." Fletcher went into remission in April but is still receiving treatment. "He is well at the moment," Cherie said. "You have to take each day as it comes because you never know what sort of side effects he will have." While in Brisbane, Fletcher enjoyed the many Children's Hospital Foundation services. These include Juiced TV, where children host the show and interview celebrities; Cuddle Carers; music, pet, bedside play and other therapy programs; and the Book Bunker library. "Fletcher really enjoyed the music therapy because it was fun and loud and he loved when the volunteers came around to lend books to the children," Cherie said. "The bedside play was fantastic." The Channel Nine Telethon is the Children's Hospital Foundation's key fundraiser. As well as supporting patients at QCH, money raised during the telethon pays for vital medical equipment, research and a range of medical services throughout Queensland and Northern NSW. The foundation hopes to raise more than $12 million when Queenslanders tune into the telethon on the Nine Network on November 17. Donations can also be made at participating Woolworths, Big W and Bank of Queensland outlets. IF your child becomes critically ill, there is a chance their life might be saved by technology partially funded by community donations. The Extra-Corporeal Membrane Oxygenation (ECMO) machine is a significant piece of equipment that takes over the function of the heart and lungs while a child's body is fighting an illness or struggling with an injury. The ECMO at Queensland Children's Hospital has saved the lives of more than 200 children from as far north as Cooktown, west to Mt Isa and south to the Gold Coast. The Children's Hospital Foundation has commissioned a special portable version of the ECMO - known as a "sled". 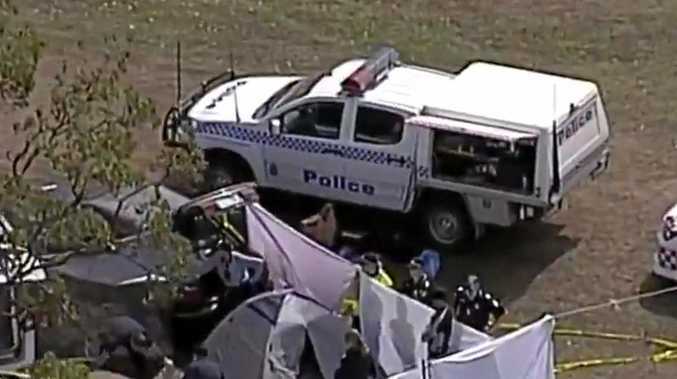 Money raised during last year's Channel Nine Telethon helped pay for the first Australian portable unit, one that can go in an aircraft, foundation CEO Rosie Simpson said. "Close to half the children that come into Queensland Children's Hospital are from regional areas - which is why we fund innovative equipment," she said. "The ECMO sled is equivalent to an intensive care unit but it is mobile. "We are bringing all the technology and expertise to the patient." Queensland Children's Hospital treated about 13,000 inpatients from regional Queensland and northern NSW over the past year. The Children's Hospital Foundation provides a range of support services for sick children and young people attending QCH and hospitals across Queensland. About $1.7 million of CHF funds has been invested in regional pediatric wards. More than 42 per cent of children visiting hospitals in Brisbane come from regional areas and many of these are the most vulnerable and disadvantaged in Queensland.